These last couple years have been an…interesting…experience. We went from being enrolled at a homeschool charter that gave us complete freedom in how we homeschool our kids, to a charter that is much more limited. I’m pulling my high school daughter out of our current charter after this year because of our experience with the rigidness of their high school program. We’ll be going with the private school affidavit option, a wonderful option in California for homeschoolers that want freedom to do high school the way they want, without all the rules and regulations. But let me preface this whole post with an explanation as to why we joined a charter in the first place…I am a self diagnosed ADD mom. Still awaiting an official diagnosis, and hopefully a prescription to help…but I am like 99.9% certain I am correct in my self diagnosis, as many many online quizzes have confirmed and every single thing I’ve ever read on this have confirmed that I seem to very much fit the bill. And have for years and years. It has gotten to the point lately, as I am in the throes of perimenopause, when I’m told by my sister “shinies” (a cute nickname for AD/HD people) that all hell can break loose on ADHD symptoms, as they intensify during the hormonal changes…which appears to be the case with me…that I have had to seek out professional help for the problems that have arisen due to my ADDness…the chaos that it has wreaked on my life and my family. The struggles that we are all enduring. But back to 2011 when I first sought out a charter… All I knew back then was that going it on my own wasn’t working and I needed a change. I knew that I wanted a community around me, and the nonprofit homeschool resource center that I had attempted to get going had fizzled…the existing homeschool community, at the time, was disorganized and sporadic with gatherings…and I needed more. And I thought that maybe a homeschool charter might give me the benefit of having someone give me some oversight, pushing me to stay on top of things with my kids…a huge issue I have. Plus, there was the added benefit of enrichment classes and access to a library of resources. All for free! And it worked! From fall 2011 through spring of 2016, our family thrived at our first homeschool charter, which was very flexible in allowing us to do our own thing, how we wanted. They were happy as long as we produced one sample of work for each of the 4 main subjects: math, science, social studies and language arts every month to turn in to our education coordinator. And it was lovely. Until they shut down our local satellite and abandoned our (thriving) local community. This was a HUGE blow to our local community, and an incredibly hurtful thing for them to do to us. Many of us still feel hurt and angered by this. They forced us to decide if we were willing/able to drive an hour one way down to their main campus twice a week for classes. This was something that would no longer work for our family, due to the cost. We had done this before, the first year, and then they opened a local campus and we didn’t have to anymore for a time, which was a huge relief financially to us. Then my daughter outgrew the local classes and for her first year of high school we did have to drive her down there for our last year with this school…carpooling with other families of olders… This helped with the cost, but was such an exhausting thing…juggling with other families to watch my son while he attended classes up here at our local campus one day (so I could drive carpool), and on the other day, impose on my mom to take the carpool one day a week down to the classes an hour away so I could be with my son up here once a week …it was just not an ideal situation. So stressful and exhausting. But we were willing to do it because the classes and community meant that much to us. So when they shut down our local campus and left us all out in the cold, we were forced to make some tough decisions. Decide to pay the money to go down to their other campus that essentially just kicked us in the face and told us all that our community meant nothing to them or find something up here. At the time, there was nothing acceptable. But then, luckily, something opened just as the school year started. And it seemed ideal. Until things got really going and I started to really learn how things worked at this school. So now I’ve learned that for my son, who is only 6th grade…it can be managed. Their hoops are doable. They are much more flexible for the lower grades and it’s not such a big deal. But for high school….it’s absolutely intolerable for us. The requirements at this charter for following the state standards and requirements for graduation go against everything I believe in. And have me realizing that this is exactly why I homeschool in the first place! To AVOID this sort of garbage! Because, at least at the high school level, this charter is absolutely all about pail filling. It’s about checking off the standards and moving on to the next, making sure that you’ve fulfilled the requirements…and not about lighting the fire, the passion for learning. Of course, it’s possible that you could be lighting children’s fire while filling the pail, but I don’t have time to do both! There’s just TOO MUCH that they are expecting… and frankly, a whole lot of the standards are just a complete waste of time! I want my kids to be learning things that are lighting their fire, their passion for learning about their world, and that will actually benefit their future lives…not something that some bureaucrat somewhere (because I know that it’s not actual educators that came up with these lists…judging just by how developmentally INappropriate most of the stuff they are pushing on the youngest ones is!) decided that all kids in my kids’ grades should be learning at the same time! It’s flipping ridiculous! And someone tell me why nearly all high school curriculum…even homeschool curriculum that isn’t necessarily based on standards…is so DRY AND BORING AND TRADITIONAL??? Because my daughter and I are on a quest now to re-invent high school for her…in a way that has meaning to her…and we are going to have to start from scratch essentially….and nearly none of the already existing curriculum out there for high school will do. I can see that already. It’s like, as soon as they hit 9th grade, BOOM, no more fun learning, you gotta go right into traditional, boring, dry, dull teaching methods. Textbooks and rote memorization and spitting out things on tests and writing endless papers and reading insanely dull textbooks and all the same stuff we did in public school. CREATED FOR HOMESCHOOLERS!! WHY??? We are homeschooling!!! We can do BETTER!!! We don’t HAVE to do things this way!!! It’s like for homeschooling high school, the only choices are: unschool or traditional school. The only in-between you have to create yourself. Which is where we’re at. This is SO RIDICULOUS!! WHY CAN’T THERE BE HIGH SCHOOL LEARNING THAT’S HANDS-ON AND FUN TOO?? Why do the littles get all the fun learning?? Why is high school all read and write and regurgitate? They don’t stop benefiting from hands-on, engaging learning just because they advanced a couple years! All kids, even those that aren’t kinesthetic learners, can benefit from hands-on learning! So let’s keep doing it!! Seriously, what is UP with the high school curriculum manufacturers?? Well, I’ll tell you part of the problem….it’s because it’s what the parents demand. So, HELLO PARENTS! STOP THINKING LIKE THIS! Yes, there are SOME kids that can benefit from that type of learning…SOME. But even those kids would benefit from another way. And holy crap could you imagine how much better all kids’ education would be if it were more hands-on and ENGAGING and we cut out all the dry, rote, dull stuff and actually put in front of them some really meaningful stuff for a change? Because, here’s a thought….they might actually remember some of this stuff for the rest of their lives instead of losing it promptly after they spit it out on a test or paper like we all did? I want my kids to actually RETAIN THIS INFO. Of course they’re not going to retain every bit of it, that’s not realistic…but hopefully they’ll retain a good bit of it! Otherwise, what’s the point? It’s just wasted time!! And the way all this traditional learning goes…this stuff isn’t designed to be retained. It’s designed to be regurgitated and forgotten. THAT’S NOT LEARNING. To me, that means that they actually RETAIN that knowledge….otherwise, WHAT’S THE POINT?? What’s the point of acquiring knowledge just to forget it??? Spending all that time on something that is just going to be forgotten?? WASTE! The problem here is that with the traditional model of learning…learning is viewed as a means to an end…a means to pass a paper to get a grade to attain a piece of paper (high school diploma) to get into college to get more grades, to get another piece of paper (college degree) to attain a job, to make money and have a fulfilling and meaningful life. NEWS FLASH: LIFE DOESN’T WORK THAT WAY. Because that college diploma doesn’t guarantee squat. So how about coming at this from a different angle: LEARNING FOR LEARNING’S SAKE. Because learning in and of itself is an extremely MEANINGFUL THING. And LEARNING can actually better a person. The more knowledge, the more life experience, the more you learn about ANYTHING and EVERYTHING, the MORE you become. I want my kids to REALLY LEARN. To BECOME MORE. Not just pass tests and write papers. Or get a diploma or a degree. I want MEANINGFUL LEARNING. And that means NOTHING that looks traditional. And that also means LIFELONG LEARNING. It never ever ends! So they have to ENJOY it! They have to be turned on to it! They have to be IGNITED. And traditional education does nothing to do that. If anything, it turns them OFF to learning, because they just want to get it done so they don’t have to do it anymore. That’s the exact OPPOSITE of what I want. The exact opposite of what my purpose was when I started this whole homeschooling journey. And for a time, I lost track of that, stuck in this charter’s way of doing things. 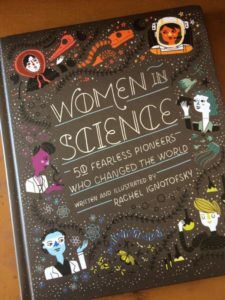 So here I am, looking to turn my daughter’s education on it’s head…and we are starting by revamping her “World History” course that we started this year….and turning it into a focus on women in world history. And she’s EXCITED by it. 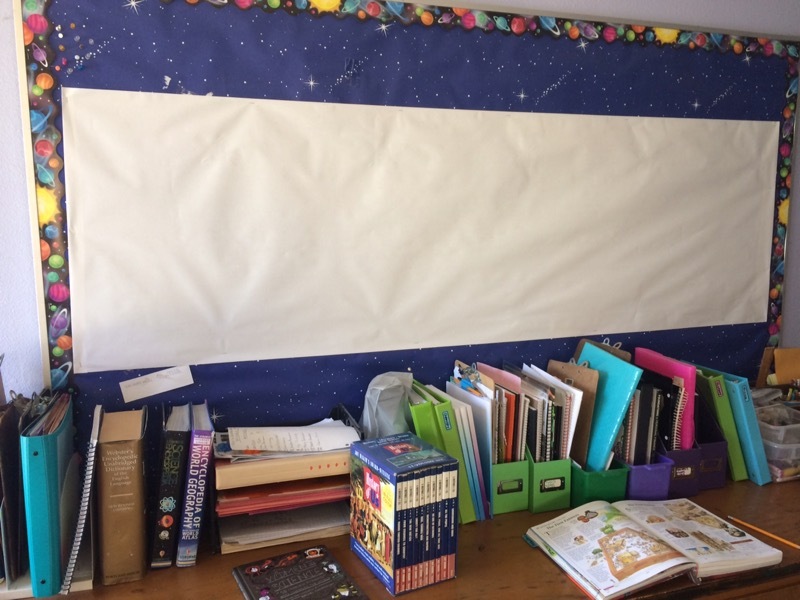 I’m starting by putting a long sheet of butcher paper up on my massive bulletin board and we are going to chart a time line and start plugging women throughout time and across the world on there. Gonna need a world map to pin them on as well. We will be able to visually see that we have women represented throughout the world, throughout time, and throughout the different events and things we want to study (color coded, so we can see that we have enough represented) : events, arts, sciences, historically significant people, inventions, and women of color. I’m sure we’ll think of other things to chart as well. I may pull some ideas from our Pandia Press timeline….love that thing, but we’ve yet to fill it out much…might finally make the time! I’m going to use the Usborne Encyclopedia of World History as a spine to make sure we hit the significant events across time…and we will study these events through the eyes of the women of those times. I’M EXCITED!! And so is my 16yr old, because this is something she can totally get into! She’s all about women’s rights and learning about how women have made a difference. I also realize it’s going to take some serious digging for some of this stuff, since we’ve not historically gotten a lot of credit. But that will be part of the learning process! But THIS world history course is going to actually make an IMPACT on my daughter. Far more than the western civ audio course that she was listening to from Great Courses that was essentially putting her to sleep. That only covered western European history and I guarantee had little to no women covered in it. And while it was somewhat interesting, was presented in a traditional, dry manner of nearly every college lecture. I’ve recently discovered my daughter is a visual learner like myself…so this is going to be far more engaging for her. I’ll try to remember to share what we’re learning here, as we go! Feel free to comment and remind me to update! LOL! You know now that I’m ADD, so I do get sidetracked! I need reminders! SQUIRREL!! 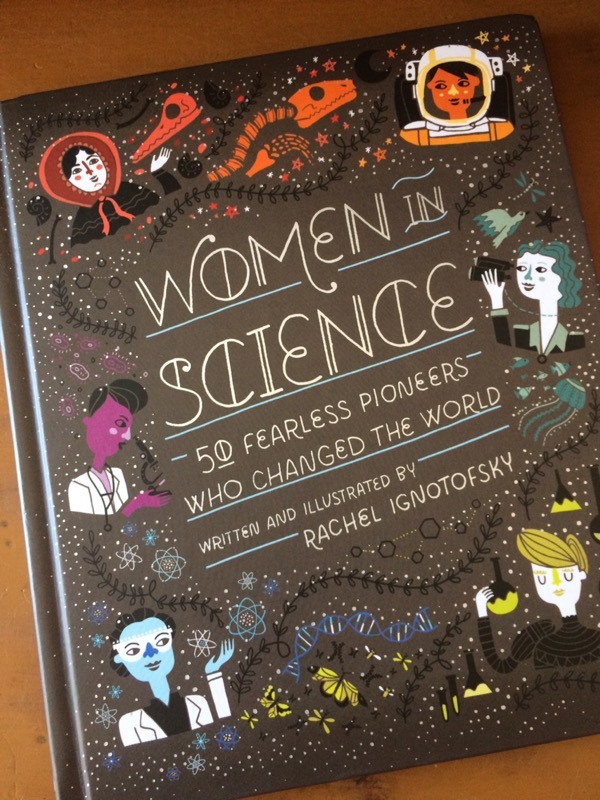 My daughter brought this book out that she owns, to use on this project: she is ON FIRE for this path! MUSIC REVIEW: Caspar Babypants–This is Fun! I really needed to read this! Going brought the same thing with my 16 ye old daughter!! We homeschool…but a recently diagnosed learning struggle for her has made her dislike all things “school”. 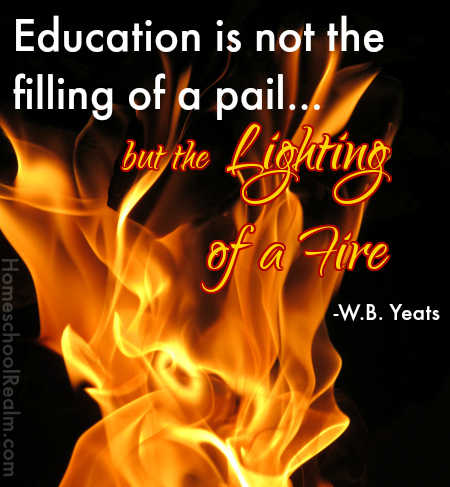 So..need to figure out a way to re-Ignite that fire for learning!!! It has been a very difficult 4 years…praying this coming year is very different. Thanks so much for the inspiration…and the encouragement in knowing I am not alone in this struggle. I’m glad my post was a help! I always love to read that. I hope you can find whatever it takes to rekindle that flame for your daughter too! Good luck!